Shores grew up in the Philadelphia suburbs and discovered technical theater in high school. After heading off to college at the University of Vermont, Shores decided to work in theater for a living. At school, Shores served as a light board operator and followspot (or spotlight) operator, and eventually became the production stage manager and lighting designer. 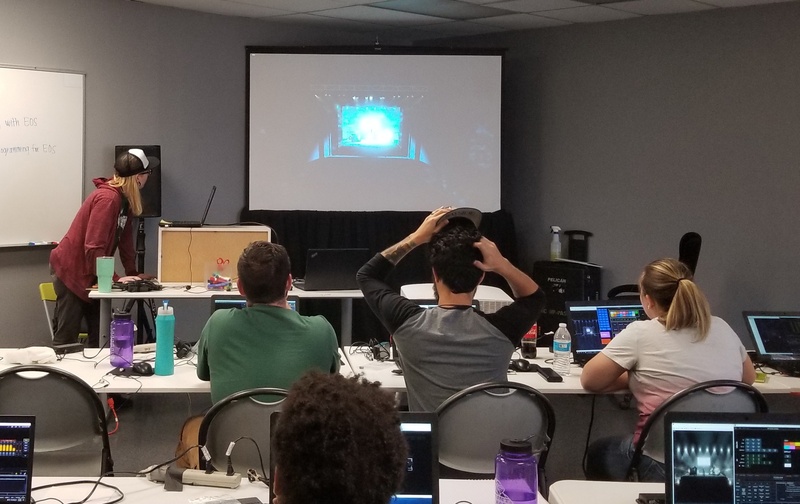 After graduating in May of 2018 with a bachelor’s degree in theater, Shores immediately went to Las Vegas to attend the 2018 SILV training and is currently on the search for jobs in lighting in the industry. What drew you to pursue theater design as a career? I got into technical theater in high school. A friend asked me to run followspot for a children’s theater production our school was doing. I stayed on tech crew for all of my years in high school, working my way up to being the main lighting guy. I went into college as a neuroscience major, however, because I didn’t think I could actually make a career out of theater. That changed my sophomore year of college when I took fundamentals of lighting as my fine arts elective. It was there I met the man who would become my mentor in lighting design, John B. Forbes, who showed me that there are a lot of paths forward in the entertainment industry. By the end of the year, I had switched my major to theater, and the rest is history. What drew you to apply to SILV? John, my mentor, was a student of the founder of SILV, Don Childs, and is still very good friends with Jane Childs, the current director of SILV. He spoke often during my time at college about it being an incredible opportunity. I wanted to expand my skill set post-graduation before starting to apply for jobs, so it seemed like a no brainer. How would you describe your experience at SILV? Intense. I got what I hoped to out of the program and much, much more. The hours are long and the schedule is always changing, but if you can handle it, you will walk out of the program with so much more than you walked in with. It’s truly not comparable to anything I’ve done before. You just learn. 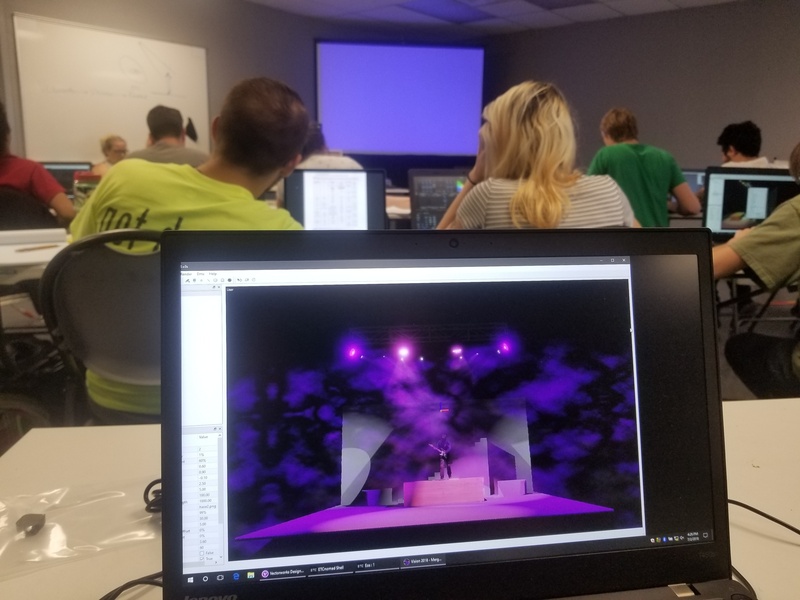 You learn about stagecraft and about technology, and also about how to be a respectful human being that others want to work with. How was your experience learning about Vectorworks and Vision? Frank Brault is a great teacher. He wants you to learn and shows genuine enthusiasm when you’ve figured something out. Combine that with his knowledge of the programs and you’ve got a stupendous class. I went from feeling like I had a very basic grasp on Vectorworks Spotlight to feeling like I have command of the software. I am now working with it rather than struggling with it. Likewise, with Vision, now that Frank got us going, it is a tool I know I can use proficiently if I ever need to. What features of Vectorworks and/or Vision do you think will be the most beneficial to you? Being able to simply draft in 3D will be super helpful to me in the future as a designer, and the visualization Vision provides will help me massively as both a programmer and designer. Being able to specify every parameter of every light I put on my plot combined with Vectorworks’ paperwork creation has also been my savior on more than one occasion in the past, and will likely continue to do so. What are your plans moving forward, and how has SILV helped with those plans? Right now, I’m in a state of flux. Ideally, I’ll eventually be programming rock shows or theatrical productions. The backup plan is to move to NYC with some other SILV 2018 alumni. SILV gave me the skills to get a lot of these jobs, and the network to help me find more opportunities and find support wherever I am. Stay tuned for our last interview with SILV student Maile Varian!